Vobster at sunrise yesterday! Still mist on the water. Ruth and Jim ahead of me and when I looked up to see where they were, all was suddenly blinding golden light. 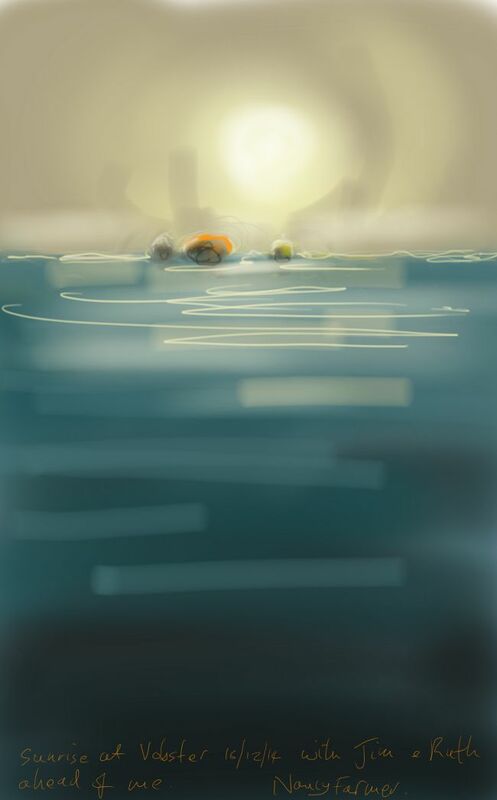 This entry was posted in Places, swimming and tagged art, chillswim tow float, cold water swimming, drawing, open water swimming, sketch, somerset, sunrise, swimming, tow float, Vobster Quay, wild swimming on December 17, 2014 by Nancy Farmer.